From Wednesday the 31st of May, until the second of June 2017, KNCV is proud to host the eighteenth edition of the Wolfheze Workshops. The Bilderberg hotel in Dutch coastal town Scheveningen will host the Wolfheze Workshops as well as the fifteenth WHO National TB Programme Managers’ Meeting. This year’s theme is ‘REACHING OUT – To find, treat and cure more tuberculosis patients and address their co-morbidities’, and will be attended by participants from nearly all 53 nations of the WHO-Europe region as well as a number of Central Asian nations. Organized in collaboration with the WHO and the European Centre for Disease Prevention and Control, the Wolfheze Workshops allows a diverse group of anti-TB professionals to share new insights and experiences to help develop a more comprehensive standardized strategy for the fight against TB. Simultaneous translation in English and Russian allows participants from low, intermediate and high TB priority countries to collaborate in the variety of plenary and parallel sessions. 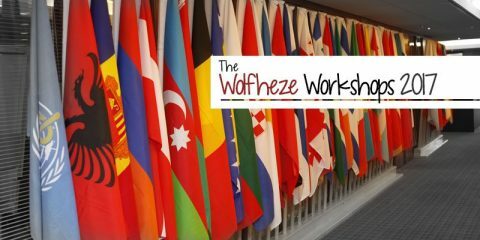 Sharing best practices, and learning from each other, is key at the Wolfheze Workshops. Examples from countries such as Estonia and the Netherlands show significant progress can be achieved. Sharing best practices and providing inspiration is one of the goals at Wolfheze Workshops, aiming to help develop policy for our shared fight against TB around the world.